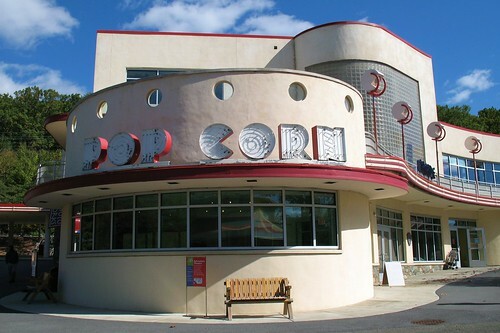 Another view of the popcorn sign on the Arcade, at Glen Echo Park. Above the sign, there is a roof deck that used to be a restaurant. Flickr Explore, October 30, 2007.